2016 marked the 400th anniversary of Shakespeare's death. This collection brings together audio and video content about his work. This exhibit tells the story of Shakespeare at the National Theatre through eight landmark productions. 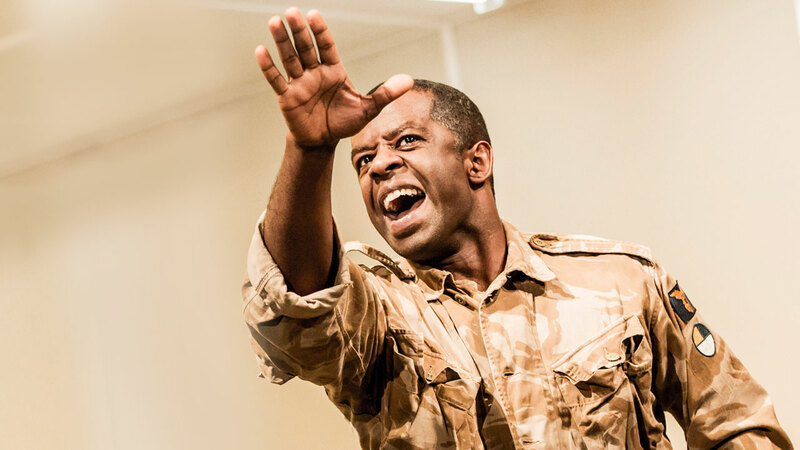 Made for the 'Othello' NT Live broadcast, this film looks at the military setting of the play and the role of Major-General Jonathan Shaw. Lenny Henry and George Alagiah look at migration in Shakespeare’s play, The Comedy or Errors. Director Nicholas Hytner talks to Abigail Rokison-Woodall about his enormous contribution to the history of Shakespeare at the NT. Simon Russell Beale and Simon Lovestone look at how memory and ageing are explored in Shakespeare’s play, King Lear. Rory Kinnear and Nicholas Hytner explain some of the key aspects of Hamlet’s character. From the BBC's The Hollow Crown, director Dominic Cooke and writer Ben Power discuss adapting Shakespeare's work for the screen.